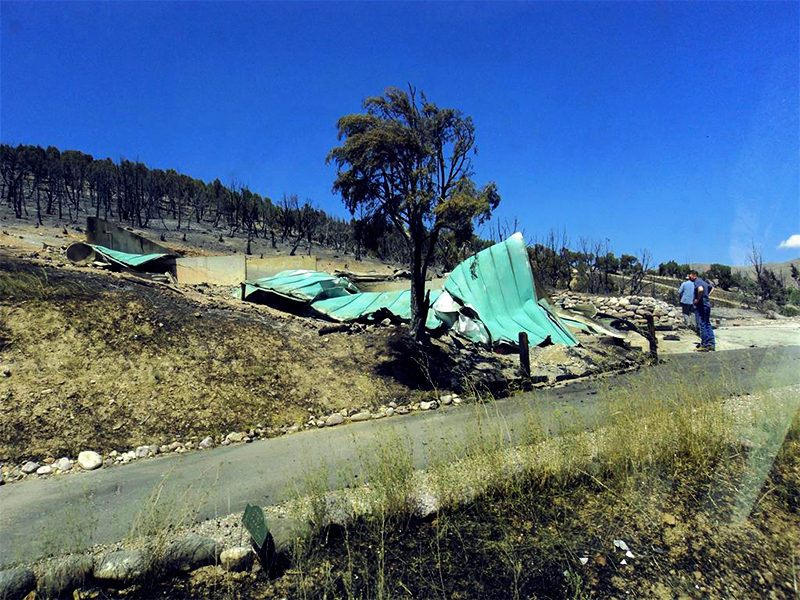 Tomorrow will be the day before the wildfire that changed our lives completely. Today is the day before the day before. I keep thinking what day after tomorrow will be like. Will I feel sad, will I feel happy to have made it this far? Will I feel drawn into the overwhelming affect of that day last year? I suspect that the answer to all of that is yes. Anniversaries of traumatic events are usually difficult. All of the memories come back. The anticipation can be the worst. Years ago I worked as a mental health clinician with veterans who struggled with Posttraumatic Stress Disorder. They were veterans of WW I, WW II, the Korean Conflict and the Vietnam War. There were others who had been in smaller but just as bitter conflicts. As each of them reached that date in the turn of the year that marked their moment of demarcation from then and now they struggled with the flood of memories. A few of them had medical permission to check into the Veteran’s Hospital a few days before and stay for a few days after their anniversary events. I don’t think I ever heard that any one of them did. Perhaps just knowing that they had a place to be, a place that was there because something terrible had happened was enough. Recognition of the event meant everything. And so it is for us. We want to recognize the moment but a picnic of survival does not seem right. A silent celebration to make the changing of our lives does not feel right. In fact, nothing feels right. There cannot be a right when there was so much confusion. How, among all of the things that did happen those few short hours when the wildfire raged across our valley taking with it the safety of our homes and the physical reminders of our lives, could there be a right. What moment is the right moment to celebrate your house burning to the ground? What moment is the right moment to mourn your house burning to the ground? The answer to that it as simple as it is complex. Each moment we celebrate and we mourn. Each moment we are the people we have come to be because of that event. We have incorporated it into who we are. Sometimes the fit is better and sometimes it is not. Most of the time it fits so well I have no idea that it has come to live with me. Other times the fit is so rough that I can hardly breath. It will be this way always. The day before the day before is every day. Each of us carry with us our own days before. Each of us are shaped and molded by that day. Each of us makes peace with it as best we can it on the day before the day before.